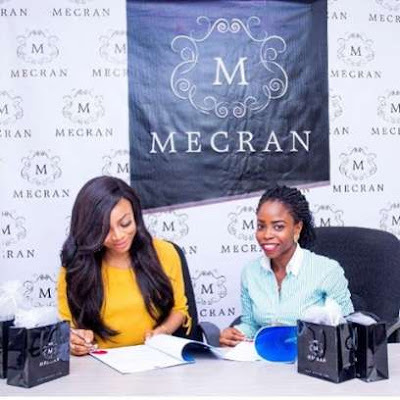 Mecran Cosmetics as officially unveiled OAP Toke Makinwa as face of the cosmetics brand. "Signed. Sealed and delivered. #Bts of my shoot with @mecrancosmetics. I have been using mecran for a while now, once I agreed to be the face, I had to commit to this product and let me just say it's about to get exciting!!!! That Glowwwww I'm loving the way my skin literally speaks. I'm welcoming you all on board in advance, this is the year to shine!!!!! Thank you Jesus. Don't be left out, follow @mecrancosmetics guys. Look out for give aways".